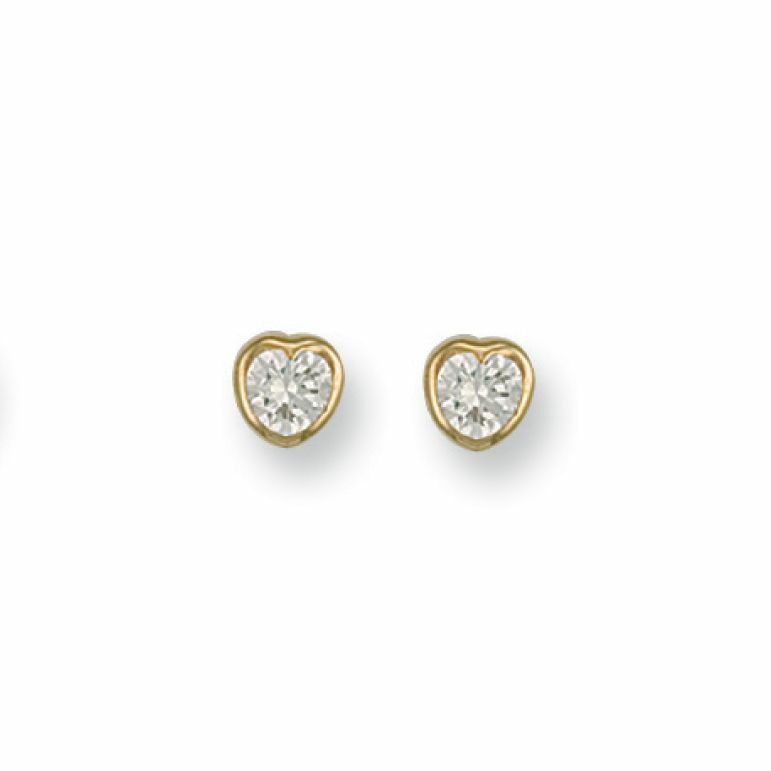 9ct yellow gold robover set heart shaped cubic zirconia stud earrings. Stand out with these 9 carat yellow gold CZ set earrings. Comes complete with a beautiful presentation box. Please allow 3 working days for free UK delivery.